In the information age, communication is easier than ever as programs like Skype, WhatsApp, Viber, Telegram, and others allow people to connect and chat with friends and relatives all over the world. Internet communication has come to the point where people cannot image going a day without checking in on loved ones, and inactivity might even signal a cause for concern. Earlier this week, Azerbaijanis were infuriated to see that they were unable to connect to Skype, an application designed for free voice and video and calls and includes features to send instant messages and files. Some began to weigh the possibility that the application had been banned in the country. However in Azerbaijan, there are no restrictions on the activities of the Skype application, says Mushfig Amirov, the Spokesman for the Communications and High Technologies Ministry. "The Ministry of Communications and High Technologies introduced no restrictions. On the contrary, the agency is interested in the further development of such networks," he stressed. Amirov said that as a result of the interrupted service, the Ministry conducted an investigation only to find that there are no issues that can interfere with the operation of the program. Experts believe that the complications might be associated with a previous software update, as the issue is eliminated after downloading the latest version of Skype. Some users complained of difficulties when trying to enter the program, use the voice call, and send files. These issues were also seen in Europe and the U.S. 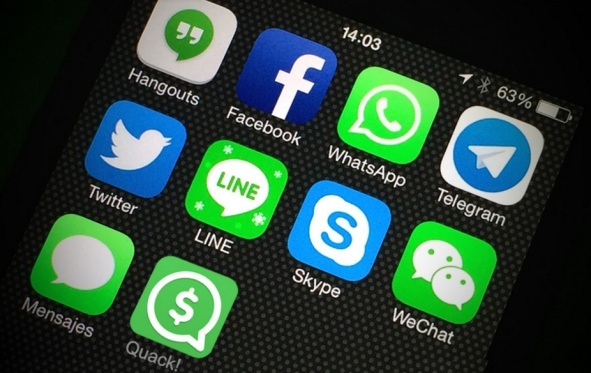 The ministry recalled that a week ago, users of WhatsApp faced similar problems. It was also stated that these problems were not caused by mobile operators and Azerbaijan’s telecommunication agency. The Ministry of Communications and High Technologies again stressed that the agency does not intend to prohibit the use of software applications in the mobile network. As the regulatory authority, the ministry supports the development of technology. Glitches are a common occurrence around the world when these applications are being updated. In Azerbaijan, a country where the mobile phone penetration rate stands at 112 percent, mobile apps are popular not only among the youth but in all ages. Internet-based calls and texts have, however, hurt the incomes of the three mobile operators in Azerbaijan. Eyyub Huseynov, the head of the Free Consumers Union, told local media that operators lost more than 1.5 million manats in the past year because of mobile messaging applications. “In case the operators decide to block voice calls, the Free Consumers Union will speak out against the decision,” he stressed. “Unfortunately, there are no statistics on the revenue loses of the local operators. However, I think roughly the loss of profits of the local mobile companies may be more than 1.5 million manats,” he added. In turn, Chairman of the Centre for Research on Sustainable Development Nariman Agayev told local media that many users buy internet packages, so there is not a big loss in revenues. "The development of the ICT gives impetus to the development of competition. Mobile operators must accept the fact that the market gets more affordable and convenient communication systems,” he added. Technology evolves; the needs of the population, especially young people, are changing. Therefore, to eventually keep their customers, mobile operators will have to either improve performance and increase the volume of services or withdraw from the market, he stressed. “With regard to the reduction of profit, I do not think it is great, as subscribers still have to buy internet packages, as not all public places in Azerbaijan have Wi-Fi,” he added. There are over 40 internet service providers in Azerbaijan today. Thus, restrictions are not the solution. On the contrary, technological development can only lead to greater benefits for all in the long term. In the current environment, mobile operators that offer mobile Internet connectivity should suggest less expensive options in order to retain customers.